So far Bill Millios has created 28 blog entries. 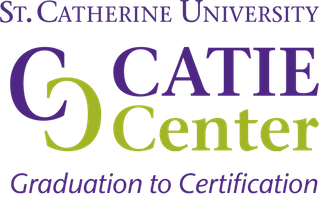 Graduation to Certification Program – in the RID VIEWS! 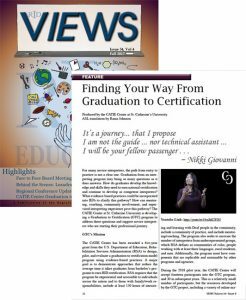 The November 2017 issue of the Registry of Interpreters for the Deaf’s quarterly publication VIEWS had a great article about the Graduation to Certification Program. Click here to read/download the article. To learn about cultural competency and formal register use in ASL by watching an ASL text. Objective: To improve message coherence when interpreting a fast and challenging English text into American Sign Language. 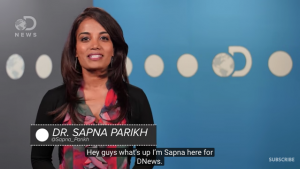 In this video, Dr. Sapna Parikh discusses the process of language acquisition, focusing on second language acquisition for children and adults. Cultural and Linguistic Diversity Series:”Working Together: Interpreting Issues in the AfricanAmerican/Black Community” Anthony Aramburo, Presenter[Videotape].El Paso, TX: El Paso Community College. TRT 26:51 Spoken English with OpenCaptions. National Multicultural Interpreter Project (2000). Cultural and Linguistic Diversity Series: Asian Values and Interpreting Issues – Jan Nishimura [Videotape]. Region VI Interpreter Education Program (1999). The Legacy of Eliza Taylor [Videotape]. Little Rock, AR: University of Little Rock Arkansas. This project was co-sponsored with UALR who produced and disseminated the videotape. Mexican Sign Language -Lenguaje de Señas Mexicano LSM signs only. This is a signed demonstration of the states and capitol cities of Mexico. A listing of the states and capitols is provided. National Multicultural Interpreter Project (2000). Cultural and Linguistic Diversity Series: Mexican American and Mexican National Deaf Language Samples Tape 1 [Videotape]. El Paso, TX: El Paso Community College. (TRT: 37:00) ASL only Language Samples. National Multicultural Interpreter Project (2000). Cultural & Linguistic Diversity Series: Multicultural Interpreting Assignments [Videotape] . El Paso, TX: El Paso Community College. (TRT: 39.13) Mixed Spoken and Signed Language Samples.